So you’re all setup on Office 365 for your emails. Now What?! 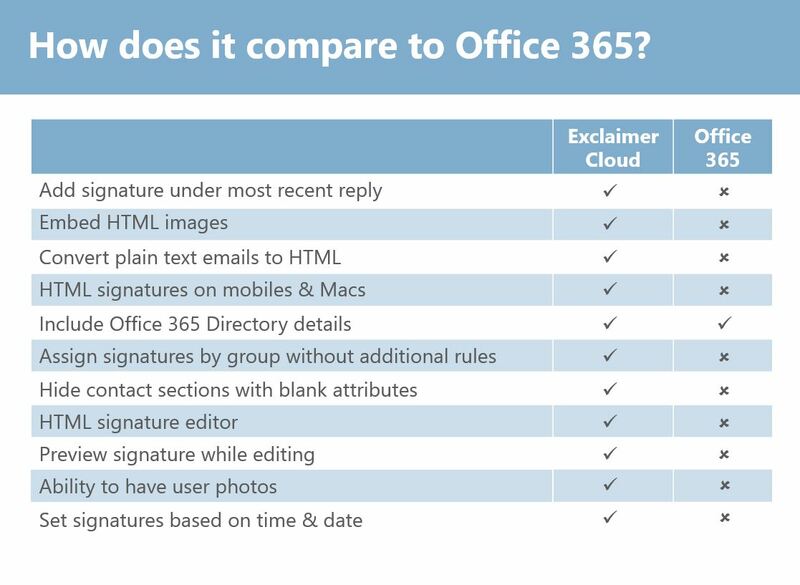 With Exclaimer Cloud – Signatures for Office 365, you can manage the entire organisations signatures from 1 location which keeps the uniformity. It also provides a much more powerful tool with greater customisations for your signatures. It’s important to get your signature right, with as much information as you can squeeze in while also keeping it neat and tidy. 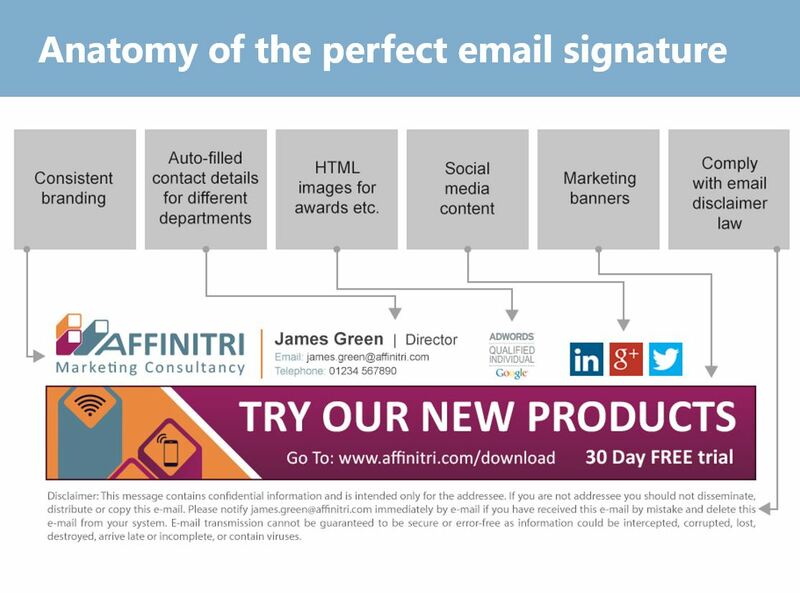 Below is the Anatomy of the perfect email signature.